Reolink is one of the lesser known security camera brands available. The company, like Amcrest, is more recognized in the NVR world, but it recently started stepping into the connected cam market. I reviewed its Keen and Reolink products last September and now the Reolink 2 is out with one major advantage over the original version: a rechargeable battery. In my review of the Argus, I had lamented the lack of a recharging option, which forces you to use 4 CR123A batteries, that depending on where you live, could be difficult to find or expensive. That also means you have to keep changing the batteries every few months, which may not be ideal for an outdoor security cam that you placed in a far-to-reach place. Now that won't be an issue anymore as the Argus 2's battery can be removed and recharged via MicroUSB or it can be connected to a solar panel as well for continuous power and fewer worries. The rest of the specs seem to be the same: 1080p cam with 130° field of view, motion detector, IP65 rating, two-way audio, MicroSD for storage (no cloud and no ONVIF), and compatibility with Android, iOS, PC, and Mac. The app has improved a lot since the first time I tried it and it's even better now since my review, but it still feels clunky and requires a bit of a learning curve. There's also no smart home integration of any kind, though Reolink tells us that and cloud support might be coming in the future, and there's no smart people or pet or car detection. Those are a lot of downsides, but keep in mind that you don't have to pay any monthly fees and storage is as limited as the MicroSD card you put in. 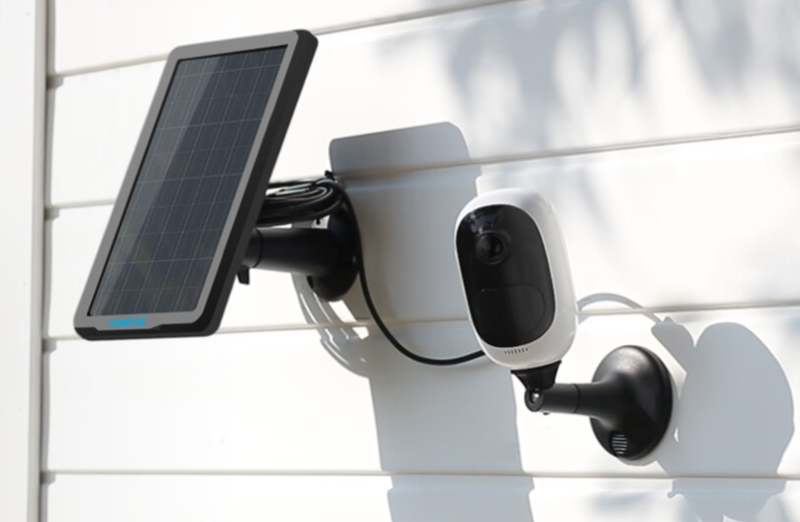 The Argus 2 is available now for $129.99 on Reolink's website and the additional solar panel will cost you $29.99. It should be coming to Amazon in the coming weeks.